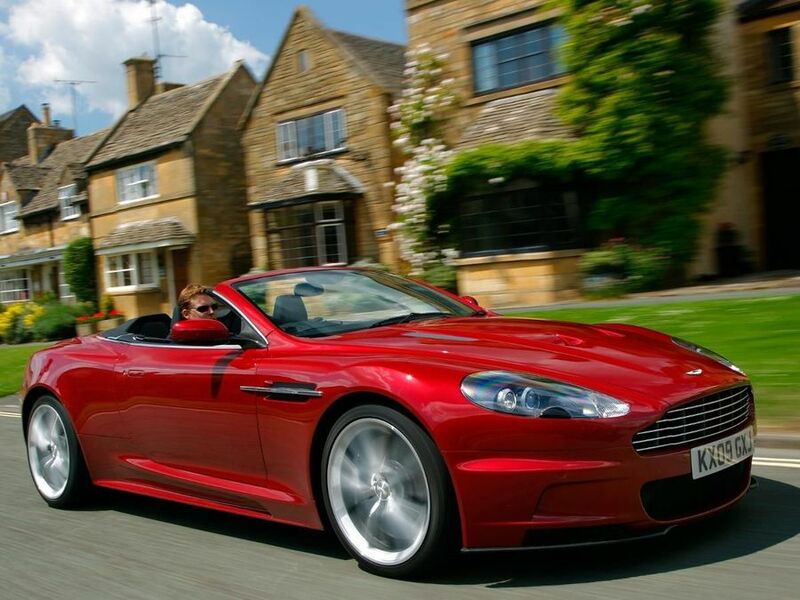 Read the Aston Martin DBS Volante convertible (2009 - 2012) expert review by Auto Trader's motoring experts, covering price, specification, running costs, practicality, safety and how it drives. Despite the softer image of the open-topped Volante, it's actually the pick of the two Aston DBS models. Interested in buying an Aston Martin DBS? What is it about Aston Martin designs? While all the models look similar, they are still achingly gorgeous and don’t really seem to date. The DBS is essentially a reworked Aston DB9, and visually this means a more extrovert look, including a choice of 20-inch alloy wheels and a body kit. The interior of the Aston DBS is sumptuous, as you’d hope. In particular, the leather and how it’s stitched stand out, though it’s a cabin full of interesting details. For some reason the gear lever is mounted too far back in the manual version, but it’s something an owner would get used to. The DBS coupé’s boot isn’t all that big, but in the (admirable) quest to hide the folded roof away completely, it has been reduced to a tiny 135 litres. That’s significantly less than the current MINI hatchback. Owners are likely to consider using the rear seats as extra luggage space, as there’s precious little legroom back there anyway. Key to enjoyment of the DBS Volante is its switchable adaptive damping system. In normal mode it’s quite supple and comfortable, despite wide, low profile tyres. Yet as soon as you press the Sport button it comes alive with firmer body control leading to less lean in the corners and dive under braking. It’s thoroughly enjoyable in this guise, though it was a wise move to give the driver the option of choosing the mode. Under that long bonnet sits a fabulous 5.9-litre V12 petrol engine. Up to 510bhp is fed to the rear wheels, so you’d expect the numbers and – more importantly – the experience to be impressive. It’s no letdown, with 0-62mph in 4.3 seconds and a top speed of 191mph. However, the Aston’s power delivery is so smooth that it never feels uncouth or hurried. Keep an eye on that speedometer though. Gearbox options include a solid manual or Aston’s Touchtronic system – both have six ratios. Obviously running an Aston Martin cannot be compared to the annual costs associated with, say, a Ford Fiesta, but the DBS Volante doesn’t fare too badly against other cars at this level. For starters, servicing intervals are 10,000 miles, which is good for something with supercar-like performance. Of course tyres and consumables will be costly, as will insurance and fuel. The official average varies from 17.3-18.2mpg depending on the gearbox – so expect much less. It’s difficult to get a gauge on reliability of low volume sportscars such as the DBS, as there are so few about. Its predecessor, the Vanquish, had reliability issues, but there do not seem to be widespread reports of problems with the latest model. As you’d expect, there’s multi-level traction and stability control and airbags as standard. The car’s structure is very rigid and strong too. Bear in mind that, if you opt for the sports seats, this removes side airbags from the equation. The DBS Volante is one of the most expensive cars Aston Martin makes, so you’d hope that it’s well equipped. And it is. Buyers at this end of the market regularly spend a lot more than the asking price on customising their car, which is why Aston offers such a long options list. Colour, wheels, leather and stereo may all be upgraded, and you need to choose between manual or automatic gearboxes. The latter is a few grand dearer. The DBS Volante is for the Aston Martin buyer that wants all the performance and driver engagement of the DBS model in an open-topped package that won’t be out of its depth cruising for long distances. It lives up to its position at the top of the line-up, though the newer Virage Volante may tempt buyers that want to spend a little less for almost as much performance.